Appliance Retailer is the leading monthly trade magazine targeting the Australian electrical appliance and consumer electronics industry. The magazine gives retailers and manufacturers a mix of in-depth industry and product news on subjects such as portable appliances, audio-visual equipment, whitegoods and heating and cooling products. Regular monthly sections of the magazine examine the latest product releases within the major electrical categories, while product training and merchandising articles contribute to improved retailer knowledge and overall customer service levels. The magazine also reports industry personnel movements and major announcements from publicly listed companies within the industry. 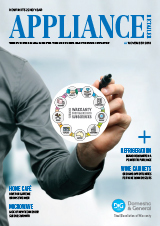 Complementing Appliance Retailer Magazine is www.applianceretailer.com.au – the most up-to-date online news service for the Australian electrical appliance industry. Combined with a daily e-newsletter, www.applianceretailer.com.au reports on the latest news and information including company announcements, acquisitions, recruitment and retail news.